Jordan Henderson has outlined why Liverpool players have a responsibility to understand what happened at the Hillsborough disaster on April 15, 1989. 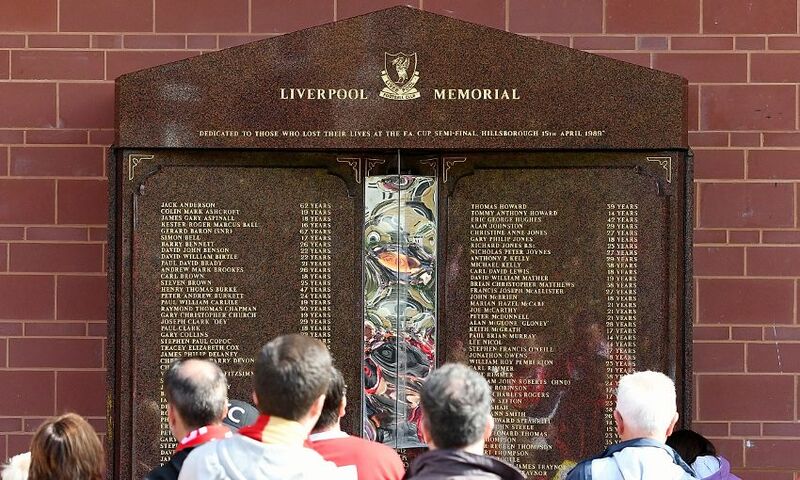 Monday will mark the 30th anniversary of the tragedy in which 96 children, women and men lost their lives – and their memory will be honoured during the Reds’ fixture with Chelsea today. Writing in his column in the official matchday programme, Henderson said: “Thirty years is more than a lifetime for the vast majority of our playing squad – almost its entirety, actually. “Like most of the first-team players I wasn’t born when 96 supporters of this club – men, women and children – attended a football match and never came home. The passage of time doesn’t reduce the importance or significance, though. Every player who is privileged to represent this club knows they have a responsibility to learn about the impact of what happened at Hillsborough on April 15, 1989. “As one of the longest-serving players in the current squad I think I have a good grasp of why remembering and honouring those who lost their lives is so vital to what we stand for as a club. It’s also our duty to show support to the families of the victims and the survivors. “But I think it’s important that the entire first-team squad, myself included, remind ourselves each season and with each year that passes why this tragedy and the impact of it will always be a part of Liverpool Football Club. Why it’s more than a number that appears on our shirt. “It’s very difficult to talk about Hillsborough without feeling like you’re not really worthy of reflecting just how devastating it was, especially when there are so many people who either experienced the tragedy directly or indirectly and whose thoughts should be given prominence. “I’m a son, a brother, a husband and a father. I have parents, sisters, a wife and children. I know that the victims fell into all these categories. I can’t begin to put myself in the position of imagining the heartbreak of losing someone so close to you in such horrific circumstances. “No current Liverpool player could ever or would ever claim to understand what it feels like for those who were affected that day. But not being able to fully understand isn’t an excuse to not try to do so. And we must strive to honour the 96 through our actions whenever possible. “As players we are in a unique position because we get to honour the memory through our actions on the football pitch. “They lost their lives supporting the team and as the current team we get to represent not just their memory, but also what they will always mean to the club. “At Anfield today the entire club gets to come together to remember. With us this afternoon will be families of those who died, survivors who were in the Leppings Lane end on that terrible day, supporters who witnessed the disaster unfold and players and management who were on the pitch and in the dugout while it was happening. “I’m sure – because I’ve been told by those who know better than I ever could – the memories are constant and not just at this time of year. But they’ve also told me how much it means to them and how important it is that, as a club, we continue to stand alongside them. “As players we can’t pretend to share their pain, but we can and we must demonstrate that their memory is as much a part of our present and our future as it is our past. “Tomorrow is the actual anniversary and as a team we will mark it in our own way, but if ever there was a day when we are the least important people associated with Liverpool then April 15 is it. Copies of today's official match programme, which pays tribute to the memories of the 96 children, women and men who lost their lives at Hillsborough ahead of the 30th anniversary of the disaster, will be available at the stadium today, or online here.